I thought that influencers were this exclusive clique of popular kids that would never mix with the geeks of my sort. Well, I was wrong. It turns out that influencers are super approachable. An influencer is anyone that has over 1,000 followers on social media, and that’s a pretty easy number to hit nowadays. The second important metric is engagement, the number of likes/comments/shares that each post gets. If an influencer has a lot of engagement, then it doesn’t matter how large or small their audience is. They are a great person to reach out to. Influencer marketing is proven to have 11 times higher ROI than any other form of marketing out there (source: Tap Influence). Wow. So how do you find the right influencer for you? What can they do for your brand? How do you work with them? I’m going to answer all of those questions in this post. How do you find the best influencer for your brand? Influencers are great, but they have to be a good fit for your brand. Before you start picking influencers to work with, you have to narrow down your requirements for good influencers. That’s pretty simple right? If you are a restaurant you want to find a foodie that regularly visits and writes about restaurants. Sometimes it doesn’t have to be such a direct link. For example, if you are a healthy snack company you can find a mom-fluencer that promotes healthy lifestyles. That would be a great fit, even if she has never posted any content about snacks before. The association goes beyond the topic, the type of content has to fit as well. What do you mean by audio content? I mean podcasts. Podcasts are huge. There are 112 million people in the US that have listened to a podcast this year. That’s as big as LinkedIn and Pinterest were two years ago. For sure podcasts won’t catch up to the number of users on social media, but they are still a really good tool to use to market your product. Authors, marketers, businesses, social media coaches, the travel industry, you name it. 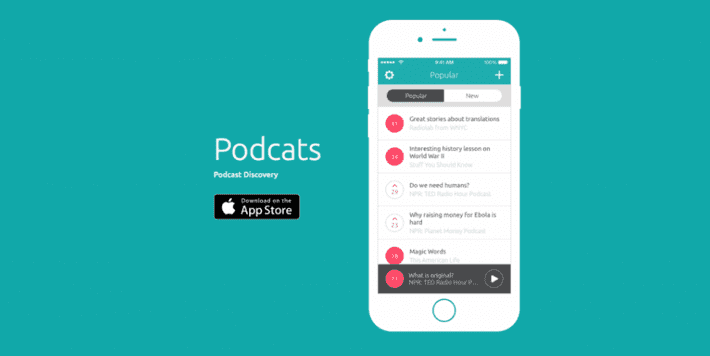 Best places to find podcast influencers are on iTunes, the Podcast App or search on Audiosearch.ch. Video is by far the most popular form of content. There are so many great influencers that use video to create content. The top places to look for video influencers are on Instagram, Snapchat, Vine and Youtube. For a really good example check out this video that Mercedes Benz made with the Instagram star Loki the Wolf Dog. The car company got 200,000 views on Youtube for two videos and were able to reach out to a much younger audience. 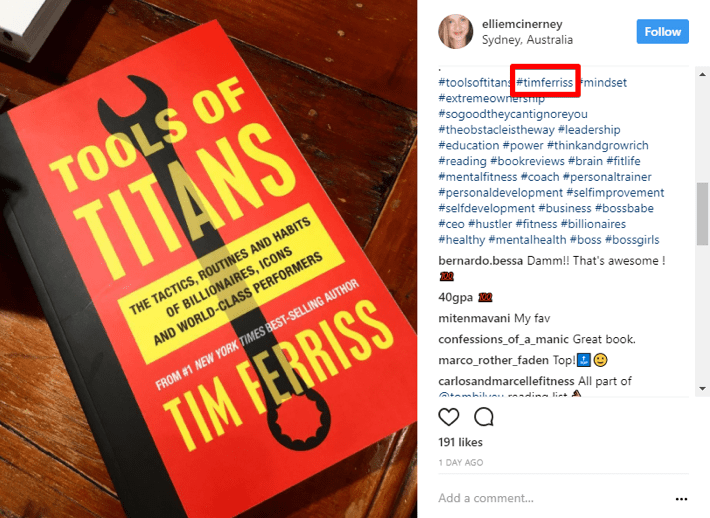 How do you use social media to find influencers? Regardless of which content type you choose the best place to look for influencers is on social media. And it’s not because everyone is on social media these days. It’s because there are established ways to search for people. If you are a brand and you have a following on social media, chances are some of your followers are influencers. Looking through your followers might be time-consuming but It’s super beneficial if the influencer that you are working with already knows about you and loves your brand. I tried this out on my company’s Twitter page (@eclincher) and sure enough, I found several influencers within my followers. One of them was Neal Schaffer. Neil’s picture had a book in it, so I knew that he is into content. And his bio said that he is a “marketing influencer.” How easy is that? Then I clicked on his profile and saw that he has a whopping 189,000 followers! Remember, the number of followers is important, but the engagement has to be there. Neil’s engagement was a little bit low, but it was still a good start for my search. 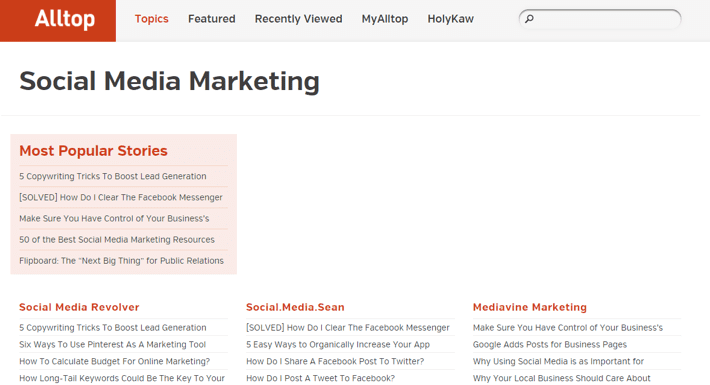 Another way to find influencers is to do a search based on related hashtags. For example, if you are a chatbot company that creates chatbots for restaurants, you may want to look for foodies and food bloggers that would write about you. 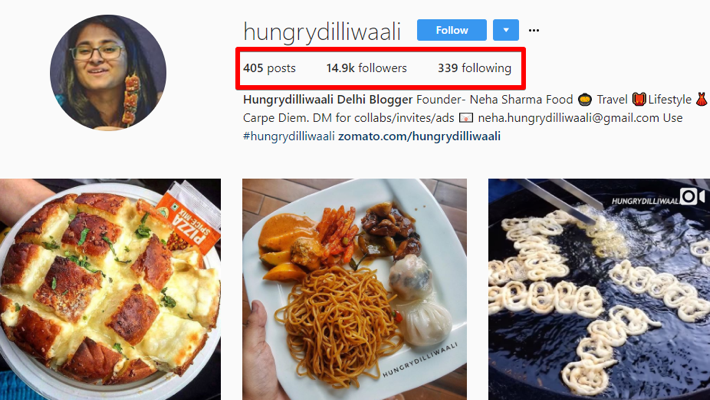 I went on Instagram and searched for #foodblogger. There were two million posts but I could narrow it down to a specific location. 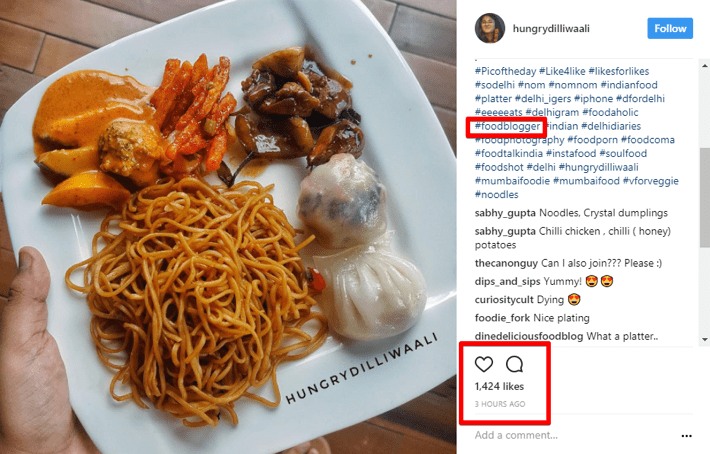 I looked for the posts with the most engagement and found this post by Hungrydilliwaali. She is a food blogger that writes about restaurants in Delhi. What was great about the post is that it got 1,424 likes in just 3 hours! Upon closer look at her profile, I saw that she has 14.9k followers and only 405 posts. So she must be doing something right! That would definitely be somebody that a restaurant chatbot company could reach out to, to promote their brand. A branded hashtag search is when you search for a brand on social media, instead of a general term. For example, #Nike, #NBA, #OrbitMedia are all branded hashtags. Yes, these are the first three that popped into my head.. I guess I am subconsciously trying to become the next Michael Jordan. Anyways, let me give you an example of a branded hashtag search. If you were Tim Ferris you would search for #TimFerris. 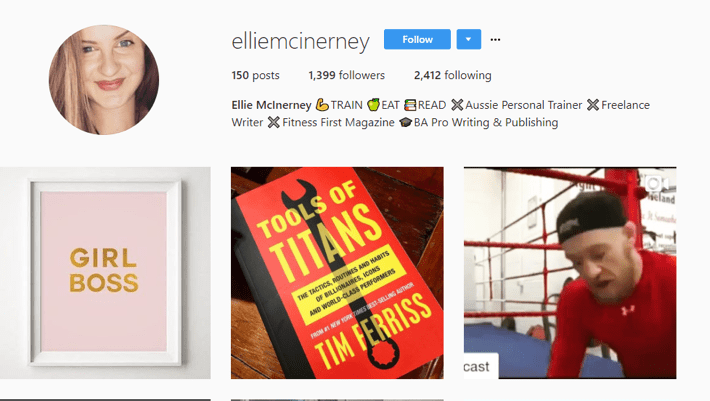 Then you would go to the most popular posts and find a fitness trainer named Ellie McInerney. She has a pretty small following of 1,399 followers but she gets pretty good engagement. 191 likes is more than 10% engagement for her. So you can tell that she is building an engaged audience. Now that you found some influencers that you want to work with, what do you do? What do you tell them? What kind of content do you ask them to create for you? What type of campaigns can influencers provide? You can work with influencers to increase your brand awareness by reaching out to their engaged and dedicated audiences. To get even more value from the campaign, ask influencers to use a branded hashtag on their posts. Mercedes Benz not only hired Loki the Wolf Dog (like I mentioned above) but also the famous Chef Chris Coombs. They did a campaign where he drives around in a red 350 and forages ingredients for a Thanksgiving meal. Their Instagram generated 173 million impressions, 2.3 million likes/comments and $4 million worth of earned media (source). You can work with your influencer to increase the sales of your product by offering a coupon to their audience. 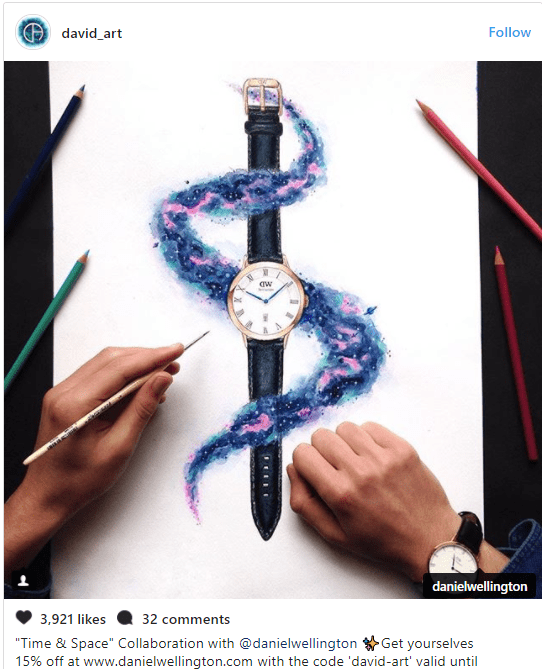 Swedish watchmaker Daniel Wellington worked with numerous influencers on Instagram to boost the sales of his watches. The influencers posted images of the watches and included a 15% coupon in their posts. Below is the image posted by David Ambarzumjan. This campaign helped the watch brand increase sales by 214% and become the $220 million company that it is today. Influencers can promote a location or destination, whether it’s a brick and mortar shop, or an entire city. 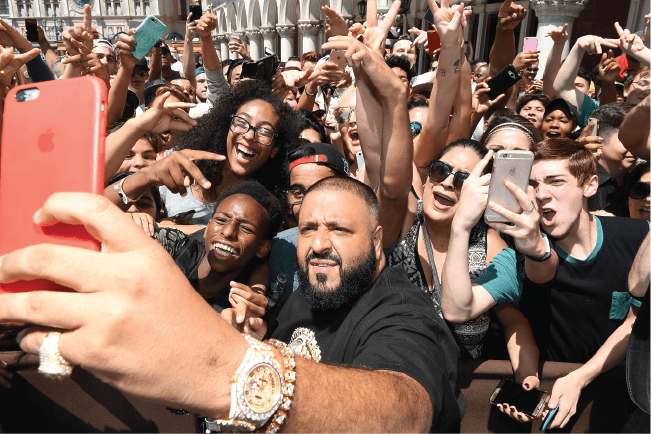 In one of my favorite influencers campaigns, the city of Las Vegas hired the Snapchat King DJ Khaled to do a Snapchat Takeover. What’s a Snapchat Takeover you ask? It’s when an influencer takes over the brand’s Snapchat account and goes out Snapping for a couple of days. DJ Khaled has over 6 million followers on Snapchat and happens to love Las Vegas. So the campaign looked very authentic and proved to be a great success. The cities brand new Snapchat account received 400,000 views and grew by 25,000 new followers in just two days. Now that you have some ideas of who you want to work with, and what type of campaigns you could create, all you have left to do is to contact them and start the partnership. The last and perhaps the most important part of this whole process is pitching the influencer. Here are a couple of pointers that I learned this year about contacting influencers. Email is not meant for introductions anymore. The best way to introduce yourself is on social media. Once the person agrees to work with you, they will probably want to switch to email. That being said, if your influencer gets hundreds of messages per week, it is hard for them to notice yours and even hard to remember to respond to it. So you need to keep trying and not give up until you get their attention. The influencer might be on Facebook, Instagram and Twitter so you should message them on all three. I was once trying to get advice from one of the top experts on micro influencers Shane Barker. He has been featured on Huffington Post, Social Media Examiner, Neil Patel, Search Engine Journal and a bunch of other publications. So I signed up for his email newsletter and responded to the first email I got. I introduced myself and we chatted for a bit, but ultimately he declined my offer to work with him. But I didn’t give up. I waited a month or two and messaged him on LinkedIn. At that point it was like a new introduction, I doubt that he remembered me. So we chatted again, and this time he agreed to work with me. This goes to show that messaging on each platform is sometimes like starting a new conversation. So take advantage of every platform that the influencer uses! When I get formal emails, I usually skip them. I have no time to read somebody’s super proper English (“Dear Madam…”). Sounds like a pitch from a Nigerian prince that needs to transfer his diamonds to your bank account. My rule is to be as personable as possible. I try to make a connection with the influencer first, before pitching the project. 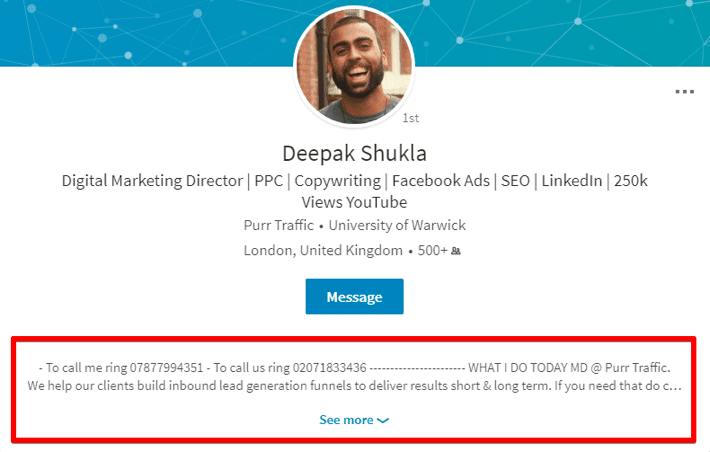 One of my favorite digital marketers, Deepak Shukla, makes his goal to be personable on every single platform that he is on. Starting with his popup messages on his site that say “hey buddy!” to his LinkedIn profile. Anyone that goes on his profile is bound to get the message – that this guy is easy to contact and get a hold of. That makes partnerships so much easier. Do you still want to email the influencer? No problem, let’s discuss that too. There are a few things that go into the perfect email pitch to an influencer. Show the influencer that you know about them and that you have done your research. Cite their previous work, projects or posts that you particularly enjoy. Talk about yourself and the benefit of working with you. Tell them how you can help them, not the other way around. Make them feel special by saying that you are adding their name to the list of influencers that you would like to work with. Tell them you need their answer by a certain date. That way they are more likely to respond to your email in a timely manner. Also, it will give them an idea of when you expect the project to be completed. Ask the influencer to do something at the end of the email. If you are sending them a sample of your product you can ask them for their mailing address. You can also ask them to decide which product they want to represent. This is a classic sales tactic where you paint a picture for the person and then take it all away from them. At the end of the email, you can say something like “please let me know if you don’t want to be part of this program.” This will only work if you painted a clear picture, where it would be obvious to anyone why they would want to join. I absolutely love your posts/blog/vlog, especially the one about ____. I’ve got a limited opportunity for social media bloggers that I’d like to run past you please. I’m Ben, the marketing manager for eClincher. We are a social media management platform with 100,000+ followers on social media and 20,000 people on our email list. We feature several famous bloggers on our blog like ___________. Our team at eClincher has selected our five favorite social media bloggers, and of course, you made the list. We’d like to send you lifetime access to our platform, then after you’ve had a chance to check it out, we’d like to interview you on YouTube live and post it on our Facebook page, which has 40,000+ fans. It’s a great way to introduce a bunch of new people to ____(enter influencer’s blog/brand) . We’d like to get the account to you tomorrow and schedule the video interview on ________ (insert specific date). Can I get your preferred email account to start your account? Also, please let me know if you don’t want to be a part of this program. If you want to get more ideas here are some more influencer email templates from the Art of Emails. Influencer marketing is not as hard as it looks. Influencers are easy to chat with, and most importantly, readily available across the multitude of social networks out there. It’s important to pick influencers that not only have a considerable following but also one whose audience is engaged and interested in their content. Audience engagement is everything in the world of social media influencers. It’s essential to pick the right type of content or content genre. You can reach out to bloggers, podcasters or video/image creators. The three best ways to find an influencer are: looking through your own following, doing a related hashtag search and a branded hashtag search. There are several types of campaigns that you can do. You can either raise brand awareness, boost sales, or bring more foot traffic to your store or location. When pitching an influencer, don’t go all out and devise the best email template. Do try to message them on every single social media platform that they are on and be personable. If all else fails, you can always email them a nice template (some examples included above). And don’t be shy, keep messaging them even if you get a “no”, or if they ignore you. But that’s just a basic rule of life; you know that. I’m out of here. I hope you guys enjoyed the post. Please leave me a comment and tell me about your epic successes (or failures) with influencer marketing. Cheers! Ben Kazinik is an inbound marketer for eClincher, the world’s most powerful social media management platform. He enjoys hiking, cooking, soccer and visiting his family around the world. 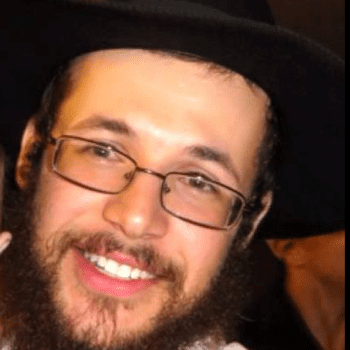 You can connect with him on Twitter or LinkedIn. Amazing post! I really enjoyed reading it, funny, creative and interesting – great job! I can’t wait to see if you have more such awesome posts here. Thank you. Thanks for reading the post! I super appreciate the feedback!